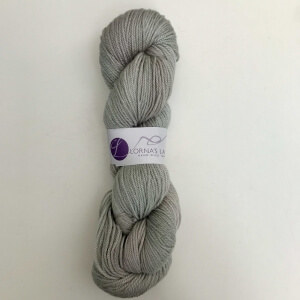 Lorna’s Lacdes Sportmate is 70% superwash merino and 30% Outlast. Outlast is a viscose fiber that interacts with your body’s microclimate to moderate temperature from being too hot or too cold. This sport weight yarn has 270 yards on 100g skeins.